This website has become a way to have fun exploring products and ideas for kids. Once your child’s classmate birthday parties start, it seems like every few weeks there is a gift that needs to be purchased. Or maybe you have nieces, nephews or grandchildren and don't know what would be age appropriate to give them. I used to struggle with the question, “What should we give?” and run around at the last minute searching for a gift. One day after searching and searching for yet another gift, inspiration came in the form of ice cream! I put together an ice cream-themed gift that included an ice cream play set, a book about ice cream, and a gift card to a local frozen yogurt shop. That night I thought of several more gift ideas for kids and I had so much fun coming up with more! I thought, "Why isn't there a resource of these ideas?" Sure, toy manufacturers give age recommendations for their toys, but it is usually for one item, limited to their products, and not a complete gift or practical resource. I immediately started creating a resource that could be searched based on the age of the gift recipient. Many of the gifts have options so you can choose based on how much you want to spend or what you think will be best for your recipient. To make it even easier, I provide links for where you can purchase the items. I hope Hello Lolli makes giving gifts easier and more fun for you, too! My name is Erin Napolitano. For over 18 years, I have been designing consumer products and thinking about how people experience them. I use this knowledge in evaluating which products to give. This website has also become an outlet for creative musings with my kids that don't fit within my daily job as an industrial designer. I grew up in the Midwest, north of Chicago, but currently live in Los Angeles with my husband and two young boys. They inspire me daily and make me use my creativity in new ways. 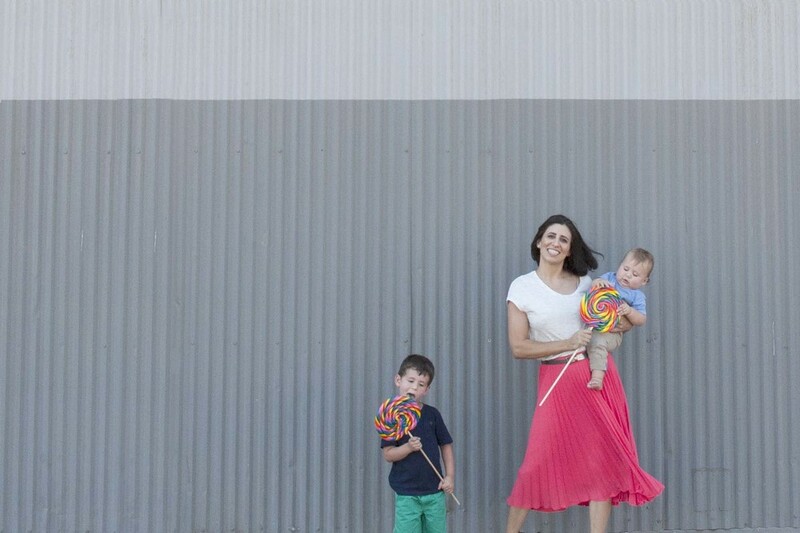 The Hello Lolli team consists of mothers, fathers, aunts, uncles, grandmothers, and of course, the kids! Why the name, Hello Lolli? My son was introduced to his first lollipop at a birthday party, and since then he has been hooked. He now thinks birthdays should be filled with balloons, lollipops, piñatas and bounce houses! I am always interested in meeting people, collaborating, or just hearing your recommendations. I have designed products for brands that sell in stores such as Target, Apple, Best Buy, Walmart, Staples and more. I also love photography and color...Let's create together! To say hello, or to learn more about my work, please contact me at wellhellololli@gmail.com.